Home Government Boards & Commissions Farmland Preservation Inc. Farmland Preservation Inc. meets on the 4th Tuesday of each month at 7:30 p.m. 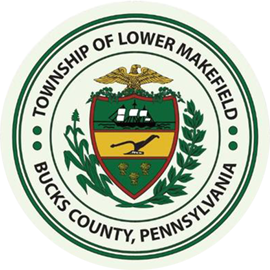 It is the purpose of Lower Makefield Farmland Preservation, Inc., a non-profit corporation created by Lower Makefield Township, to preserve farmland in Lower Makefield Township. The Corporation will prudently manage land conveyed to the Corporation in perpetuity so that there will always be farming conducted in Lower Makefield Township. 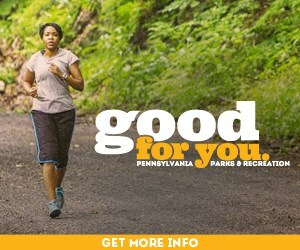 Created in 1985 by Township Resolution No. 555, Lower Makefield Farmland Preservation, Inc. owns and oversees 10 parcels of farmland comprising approximately 340 acres, all of which is located within Lower Makefield Township, and all of which was deeded to the Corporation by residential developers seeking to reduce the size of their building lots. Township Resolution No. 555 has allowed developers to sell building lots smaller than required by the Township zoning ordinance if they convey a fixed percentage of their development land to the Corporation. The Corporation leases the conveyed farmland to local farms. Pursuant to Township Resolution 555, the Corporation is managed by a Board of Directors consisting of up to five (5) Township residents who volunteer their time. Although the Township’s Board of Supervisors appoints the Corporation’s Board of Directors, the actions of the Corporation are independent of the Board of Supervisors. Township residents are encouraged to attend meetings of the Corporation’s Board of Directors, which are open to the public. Each of the farmland parcels includes what is identified on the sub-division plans as a “buffer” which is a 25-foot-wide border within the property owned by the Corporation abutting residential lots. The farms, have agreed to trim back this buffer area at least four times per year. Since the property has been deeded to the Corporation, the Township does not own the land, and residents do not have the right to go onto or use the property. Instead, this land is intended to be a source of aesthetic enjoyment for all residents of the Township while being preserved as an economic resource for our local farms. They have the exclusive right to manage the preserved farmland in accordance with the terms of their leases. For further information about Lower Makefield Farmland Preservation Inc., please write to Lower Makefield Farmland Preservation, Inc., 1100 Edgewood Road, Yardley, PA 19067. The Corporation’s Board of Directors currently meets at the Township building every fourth Tuesday of the month at 7:30 p.m.